Sunset Creek Senior Commons, located at 1401 Sunset Creek Way SW #100 in Sunset Beach, has one and two bedroom apartments. Sunset Creek Senior Commons participates in the Section 42 Low-Income Housing Tax Credit (LIHTC) program. 72 one and two bedroom units. 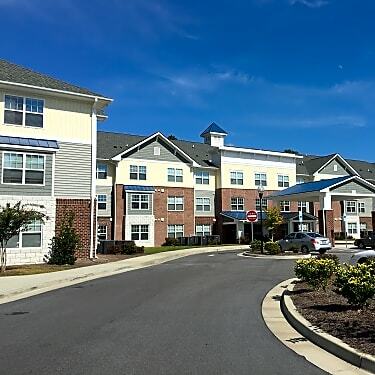 Sunset Creek Commons offers one and two bedroom apartments for seniors 55+. Our secured entry building has an elevator to upper levels, a fitness center, computer room, yoga room and mutli-purpose room with kitchen. Enjoy outdoor activities such as shuffleboard, bocci ball, walking trails and quiet sitting areas. Our spacious apartments offer open floor plans with fully equipped kitchens including refrigerator with icemaker, range and dishwasher. We offer both washer and dryer connections as well as a community laundry room onsite. Enjoy senior living at its best ~ enjoy Sunset Creek Commons! Sunset Creek Senior Commons is managed by Excel Property Management.